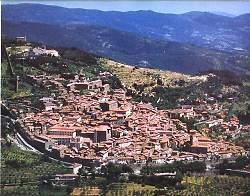 Perched at 500 metres above sea level, Cortona dominates the entire Valdichiana, with a view that stretches as far as Monte Amiata. The town is entirely surrounded by fortifications, that constitute an interesting archaeological element as well as one of its most beautiful aspects. Most of the buildings and streets within the city date from Medieval times – the Basilica of Santa Margherita and the Celle Franciscan sanctuary placed above the city make it natural for any tourist to conduct their visit ‘downwards’ into Cortona. The only horizontally-running street in Cortona is Ruga Piana, now called Via Nazionale, and leads directly to Piazza della Repubblica dominated by the Medieval Palazzo Comunale, formerly Palazzo Casali, once the home of this aristocratic family and that now houses the Museo dell'Accademia Etrusca. The museum houses an interesting collection of Etruscan and Roman artefacts. On the opposite side of town, opposite the Romanesque cathedral, stands the Museo Diocesano, which contains some important works by Luca Signorelli and one of the finest Annunciations to have been painted by Beato Angelico. Beneath Cortona, further down the hill on which the city stands, there are the Etruscan Meloni I and II del Sodo tombs as well as a hypogeum dating from the 6th century BC. Towards Foiano della Chiana stands the abbey of Santa Maria a Farneta, one of the oldest examples of Romanesque architecture. Of the annual events organised in Cortona, one of the most interesting is CortonAntiquaria antiques fair that is housed in the 18th century halls of Palazzo Vagnotti and Palazzo Casali from the last Saturday in August to the second Sunday in September.